Lori Karpman is a seasoned and award winning management consultant and attorney with over 35 years of real world experience. After 7 yrs of private legal practice she became the Director of Legal Affairs/HR for the Master Franchisee for Quebec for the Pizza Hut brand. She later co-founded the wildly successful Zyng Noodlery franchise and won 8 prestigious awards for her marketing/branding work including the pinnacle "Outstanding Overall Corporate Image" for Zyng's entire marketing and branding strategy (awarded by the Ontario Advertising Association in connection with the Canadian Franchise Association). After only 5 yrs in operation Zyng was sold to a US restaurant development group and Lori moved on to found her own firm. 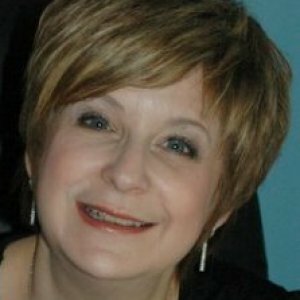 Since 2002, Lori has worked with some of Canada's largest brands such as Petro Canada, CDL Labs and Tim Horton's, but Lori has a penchant for emerging brands that need a variety of services requiring a more holistic approach to business development and where long term relationships can be built. LKA has successfully imported brands to Quebec such as Trade Secrets, Liquid Capital and Chatters Beauty Supplies, to name a few, and was instrumental in creating the Quebec management team for Boston Pizza. LKA has imported concepts to Canada from the US, UK and Australia and exported Canadian brands to the US and the Middle East. Lori's most favorite duties are her speaking and writing engagements. She is a prolific writer having written hundreds of articles over her career (and quoted as an expert in the field of business development in over 100 more), in the most respected publications and newspapers across the country. She had a featured TV spot on local television on business matters, and is a regular columnist for the Montreal Gazette on matters relating to small business. She is a motivational and engaging speaker and speaks regularly at trade shows and conventions to crowds of people who find her educational style down to earth and easy to comprehend. A true entrepreneur, Lori is always involved in several different ventures and her work includes, strategic planning, branding and marketing, financing, professional coaching for entrepreneurs, and general business development mandates, especially turnarounds, to name a few. Currently she is running a day spa. She has been involved in almost every industry you can think of and is open to learning about new ones. The Canadian Franchise Association and Ontario Advertising Agency awarded my concept Zyng Noodlery multiple branding awards for our marketing materials, including the pinnacle award for "Outstanding Overall Corporate Image". Others were for Best Print Materials, Best Website, Best Trade Show Handout, Best Direct Marketing Piece. Out of over 500 applicants, I was in the a Top 10 Finalist for the Montreal Jewish Entrepreneur of the Year Award for my firm Lori Karpman & Associates. My firm LKA was voted Best Franchise Consultants in Canada for 2 years running. I was accepted as student and graduated from this most prestigious 3 year and world renowned program for Entrepreneurs which accepts only the Top 1% of Entrepreneurs in the world. This program only accepts the top 1% of Entrepreneurs world wide and is a renowned program for giving entrepreneurs tools and strategies that we never learn in school to make us more productive while working less and making more revenues than ever before. This program catapults my coaching clients to success beyond what they ever imagined! Sandler Sales System is rated on the best in the world and is used in many of the Fortune 500 and 100 companies. Having undergone their training program in 2007, I have been training and coaching individuals personally and professionally with tremendous success. Over the course of my career and today I continually take personal and professional development courses so as to remain current on new techniques, strategies, and topics that can make me more productive and/or information to pass onto my clients that is of value to them.